A fabulous look for every day! 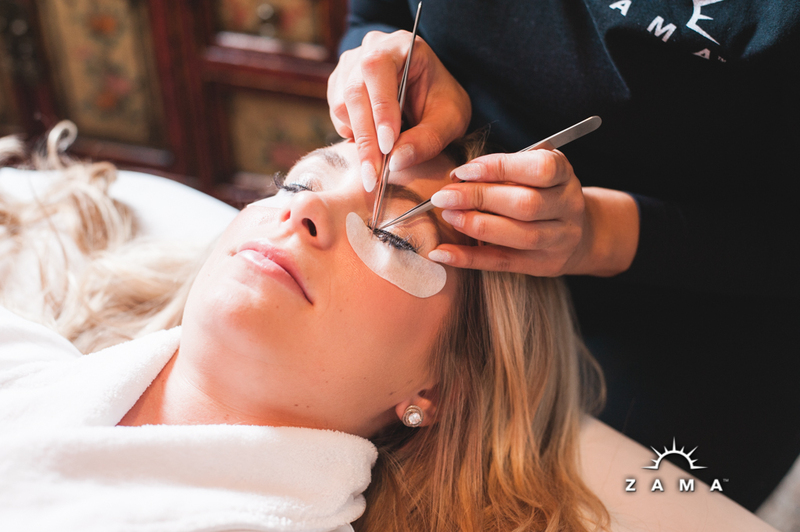 Classic lashes are silk lashes expertly applied by our trained estheticians. They are applied one at a time to your natural lash hairs, making them look longer, fuller, and lusher! Lash Extensions are a great way to add length and fullness to your lashes. Many women get lashes for big events, like their wedding day, or as a way of enhancing their natural beauty. However, many more get them regularly because, well, they make you feel beautiful! Having lash extensions alleviates the need for mascara, and can be worn indefinitely. Lash Extensions are a popular new product that lengthen and thicken your own natural lashes. They are single strands of synthetic eyelashes (most often made from silk) that are curved to replicate a natural lash. They are applied to each individual eyelash with a specially designed bonding agent for a natural, beautiful, and luscious look. Lash Extensions are perfect for that special occasion or for day-to-day wear. They are virtually weightless and will not damage your natural lash so you can choose to wear them permanently. What do Lash Extensions look like when applied? When applied properly, eyelash extensions will last the length of the natural growth cycle of your eyelashes. Everyone’s experience will differ based on day to day activities, but over all touchups should only be required every 2 to 3 weeks. have fallen out – why? As explained above the lash has a growth cycle and unfortunately it is hard to determine which las h is ready to fall out naturally, so it is unpredictable when applying the synthetic lashes. Each day we can loose 3-5 natural lashes, but often they fall out unnoticed unless they fall into your eye. When eyelash extensions are applied we are more aware of when they shed. We know the extensions are there plus they are longer, darker and thicker. If you sleep on your stomach with your face squashed into the pillow, or you favor sleeping on one side, you may notice the lashes may not last as well as the other side. Yes, even though mascara is not really required since the extensions actually give the illusion of wearing mascara it can be worn. It must however only be a water-based mascara, not one that is waterproof. Yes. The bonding agent we use is waterproof and allows you to shower, swim, exercise etc. The application process for lash extensions normally takes 2.5 hours with an experienced technician. You will lay comfortably with your eyes closed. The Lash Extension professional will then apply an under eye gel pad to cover your lower lashes. The extensions will then be applied to each individual eyelash with a specially designed bonding agent. HOWEVER, IF YOU HAVE AN EYE INFECTION, HAVE RECENTLY UNDERGONE AN EYE OPERATION, OR COSMETIC EYE SURGERY IT WOULD BE BEST TO WAIT UNTIL THE EYE AREA HAS COMPLETELY HEALED.